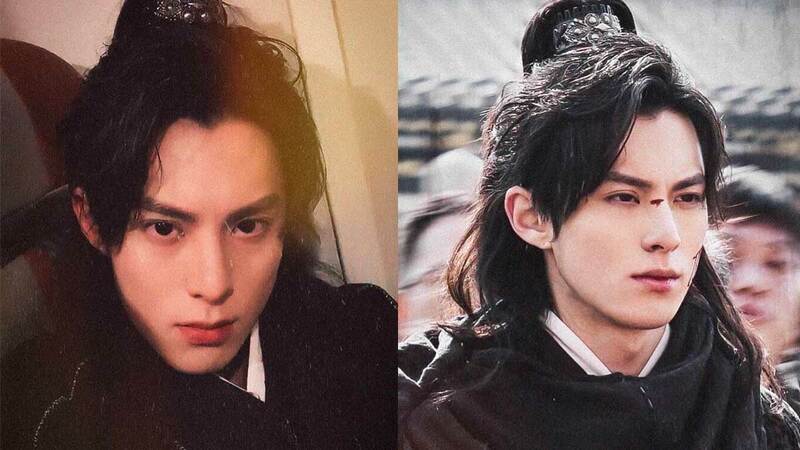 It looks like the new generation's Dao Ming Si, 20-year-old Dylan Wang, has been up to something special lately. We've been ~monitoring~ his Insta account, and we've gathered that he's working on a brand new drama! I guess it's really time for him to say goodbye to Meteor Garden. 1. Didi has LONG hair now. OMG. I mean, not for real, because we all know it's a wig for his new character. Dylan's been posting photos of him in period costume and we are so excited that he's starring in a historical drama! 2. The drama is called Ever Night 2, and it's apparently a sequel. The Chinese drama Ever Night, which aired last year, is adapted from the fantasy novel Jiang Ye written by Mao Ni. Set during the Tang Dynasty, a young boy named Ning Que escapes as his family is unjustly massacred by a great general. He manages to survive in the wild and vows to avenge his family. Dylan will be taking over the role of Ning Que, which was previously played by actor Chen Feiyu in season one. 3. The training has been intense. A few days ago, Dylan posted this video of him during rehearsals for what seems to be an epic fight scene! 4. He's got a new leading lady and she's sooo cute! Her name is Song Yi-Ren and she plays a character named Sang Sang in the drama. The two met when Ning Que dug out Sang Sang from a pile of corpses (CORPSES?!!) when she was a little girl and they've been inseparable ever since. Fun fact: Sang Sang is the 25-year-old actress' first major acting role!